Polymer and rubber forward grip with checkered finger grooves and rubberized backstrap. 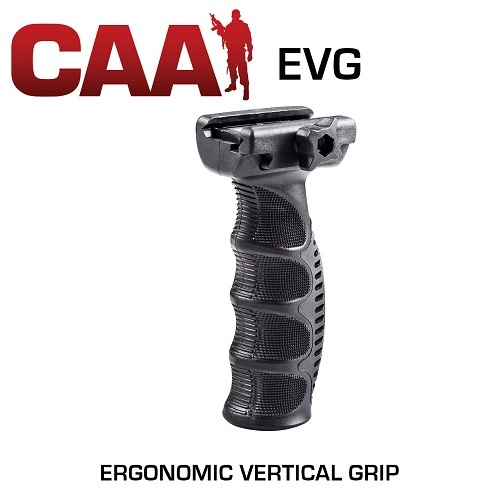 Provides a natural fighting stance, controlled operation & comfortable carry. No tools required screw cap storage compartment holds batteries or other small items like firing pins, etc.